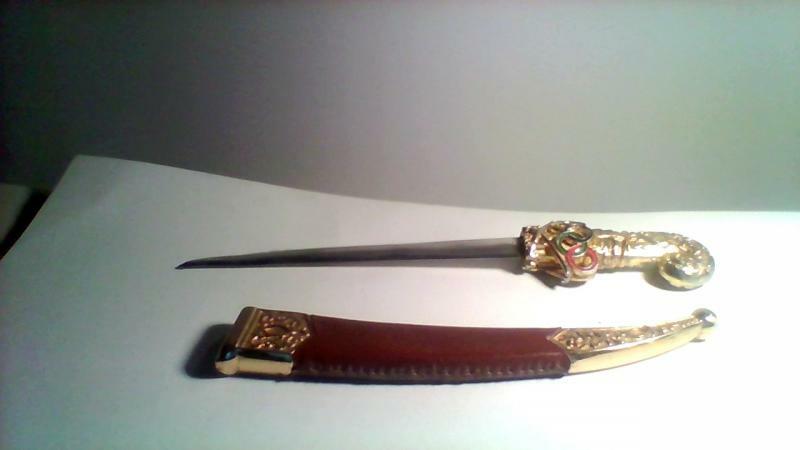 Gold Plated Saudi Arabia Olympic Commitee Knife with Metal Case, Auction: Starting bid: 40000 Euros. It will be sold, when buyer offers the maximum bid until the end of May 2019. It is a very rare Knife, that was given to Michael for his free services during The Athens 2004 Olympic Games.. It is estimated that there are less than 10 all over the world. Michael Kassotakis, 2004-2124- as the resource.